The Daleks were born without any ability to feel compassion or pity and were motivated only by hate, fear, and an implaccable belief that they were the superior creatures in the universe. 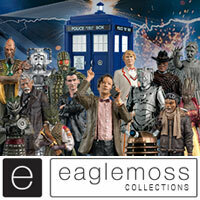 Recreate scenes from Doctor Who with these highly detailed 5″ poseable Dalek action figures. 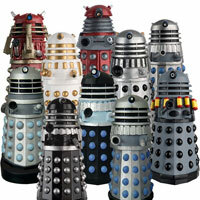 Each Dalek includes sound FX and speech by era! Collect them all! Requires 3 x 1.5V Batteries included. Does anyone know where I can find these for cheap now? Where can I find a cheap Dead Planet Dalek? Depends on where you live. Amazon UK has one seller selling them for £10. I would like B&M to get these. I just found a bunch at nerd block in Canada. Paid $12 Canadian for it. 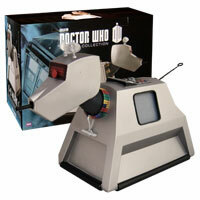 Have people reviewed the CORGI dalek toys, I want to know! Booboo, sorry for summoning you, but earlier today you said it was back in stock. Can’t find the post nor the product now, what happened ? I got the Dead Planet and Genesis Daleks today. Metallic Grey Dalek (Day of the Daleks). 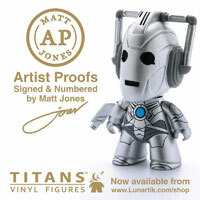 I’ve just had a look now at the website and i said to myself i wonder if they do any more of those sound wave Daleks. So i had a look at the toy section, i had a look. All i saw was those figurine toys wich are about £7.50 or more. 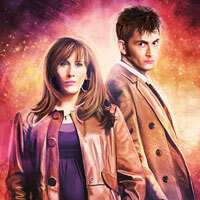 THE DALEKS (EPISODE 2/THE DEAD PLANET). 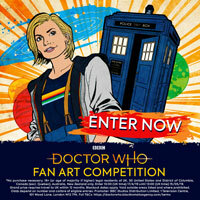 That wave of daleks was going to be so good,does anyone know why they cancelled it❔ :[. Got the Dead Planet Dalek today and it’s just great. I’m going try and collect all of this wave then go onto wave one. 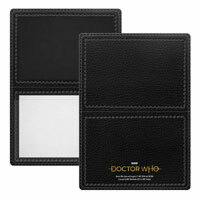 I can’t find the chase Dalek anywhere (not even fpi site)! Does anyone know where I can find it?? 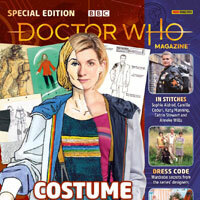 http://www.amazon.co.uk/Doctor-Who-Sound-Guard-Dalek/dp/B00HWELQRI/ref=sr_1_1?ie=UTF8&qid=1397546219&sr=8-1&keywords=Chase+Daleks I have only found this but I wouldn’t get it as it’s near enough double the price. booboo do you know if FPI will get the chase dalek back in stock? 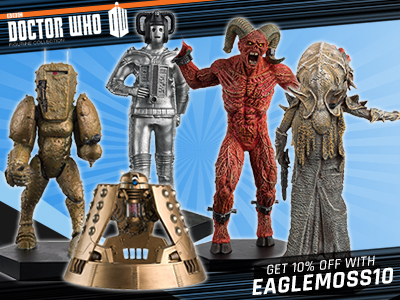 Does anyone know if the chase guard dalek will come back in stock? Look harder if you can. Can I just recommend that if you want the Chase Guard Dalek, go to your nearest Forbidden Planet store as in mine, they had them all for £14.99 (including the Chase guard Dalek) instead of £17.99 for the Chase Guard Dalek. 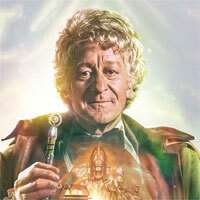 Bring on the War Doctor! The Time War Dalek (AKA The RTD Era Daleks) were released in Wave 1. When I say a Time War Dalek, I mean a dirty and battered Dalek from the Time War. Do you think there will be a FX Daleks Wave 3 seeing that some of the FX ones that were pictured last year didn’t get released. They might have had better sales if they’d kept the Planet supreme in the wave and added a Dalek Sec from the newer more accurate mould. Got to admit even I’m hesitating over buying yet another Genesis Dalek. Why I don’t know . I’m new here, but I just wanted to assure you that unscrewing the base, and removing the screw from the dome, will not affect or damage the electrics in anyway. I have a bit of experience with this work, as I always remove the screw from the Dalek domes – it leaves it easier to simulate quick battle damage, by removing the dome. Even though the speaker is attached to the base, with the switch attacheded to the hemisphere? As long as you’re careful, it should be fine. I’ve already cut the two wires and added a small plastic joining block, as I wanted my guard sat on the shelf as it appeared in the Chase – without a base. But I can still put it back on if I want him to speak. I just received the “Dead Planet Dalek” from this range, and there are very noticable gaps in the neck section, between the black and silver parts. Is there a way to fix that without accidently breaking the electronics inside? The neck sections can be pulled downwards towards the shoulders, it can be done carefully with the dome still attached. The easiest way for me was to take the base off and undo the screw for the dome, with the dome removed you then are able to reposition the neck rings and mesh sections. Just don’t want to unscrew anything, if it’s going to break the sound board or the switches.